The next Apple Event, dubbed 'It's Show Time', will take place later tonight in the Steve Jobs Theatre on the company's futuristic Cupertino-based spaceship campus, Apple Park. Ahead of CEO Tim Cook taking to the stage tonight, the whispers and rumours suggest we're finally going to see the launch of Apple's long-awaited video streaming service. The Netflix streaming rival looks set to include content from a number of studios, including Starz, HBO and Showtime amongst others. These will be housed inside the existing TV app, which replaced the ageing Video app on the latest versions of iOS and Apple TV hardware, alongside a number of original shows produced by Apple, which has spent almost $1billion (£750m) snapping up talent across Hollywood. However, those hoping to binge on a new boxset financed by Apple later this week could be sorely disappointed. 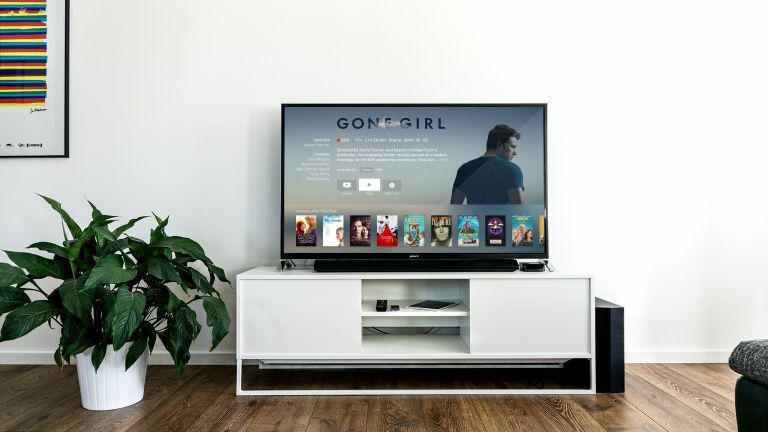 According to a report from Bloomberg, these original television shows are unlikely to make an appearance on the video on-demand service when it launches at the end of the month. These shows are still in development and are unlikely to surface until autumn "at the earliest", the report claims. As a result, Apple is believed to be racing to finalise deals with networks like HBO, Showtime and Starz ready for the announcement. At launch, it seems Apple will lean into the convenient access to third party services – as well as the simplicity of a single monthly payment through your Apple ID as the main selling points – not necessarily the impressive array of original shows that you can't view anywhere else. Sources speaking to the Wall Street Journal claim Apple will charge around $10 (£7.50 converted) for each new third-party service that is added to your TV app. Clearly, that could add up to a fairly hefty monthly bill quite quickly – although, presumably it will still work out much cheaper than buying all of the shows you've watched individually from the iTunes Store. HBO currently charges $15 a month via its HBO Go app. If the rumours prove to be accurate, it would be significantly cheaper to stream Game Of Thrones and the like via Apple's TV app, rather than subscribe directly to HBO yourself. As for the original shows coming later this year, we know that Apple has already ordered revival of Steven Spielberg's critically acclaimed 1985 anthology series Amazing Stories, as well as an as-yet untitled drama series from La La Land director Damien Chazellae, a psychological thriller by The Sixth Sense writer-director M. Night Shyamalan which centres around a couple searching for their lost child. The iPhone manufacturer has also commissioned a drama series about a morning news show with Jennifer Aniston and Reese Witherspoon. Most recently, it signed a “unique, multi-year content partnership" with Oprah Winfrey, although there is little information about what type of shows we can expect from this deal. Apple's new video service is expected to be available to view via the existing TV app, which is available on iPhone, iPad, iPod Touch and Apple TVs. Apple recently added the ability to view iTunes content on Samsung Smart TVs, suggesting that its Netflix rival will not be limited to Apple device owners. Some sources have suggested that Apple is working on a low-cost, dongle-like version of its Apple TV hardware to bring its streaming service to a greater audience, much like the £39.99 Fire TV Stick does for Amazon's Prime Video. Aside from the video on-demand service, Apple is also widely-tipped to introduce a new credit card created by the company which will enable spend tracking akin to Monzo and Revolut. Finally, a paid-for news and magazine subscription is also likely to be unveiled, which will be built into the Apple News app. As always, T3 will bring you all of the latest developments as they happen. If you'd like to watch the keynote as it happens, you can find out how to stream the announcements from the Steve Jobs Theatre here.